Are you looking for office or commercial space to rent? The Complexe Léonidas in Rimouski is a quality rental building that offers many design and layout possibilities for both office and commercial space. Opened in 1992, the complex comprises 142,000 square feet of rental space on two floors, making it the largest office building in the Rimouski region. 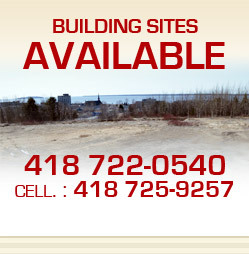 The complex is located in the economic heart of the city, on one of the busiest arteries and close to major highways. Newly renovated, the building reflects current architectural trends, including such features as backup generators and automatically controlled lighting, heating and VRV air conditioning. The Complexe Léonidas is located on Rue Léonidas, between the Power Centre and Carrefour Rimouski, two of the city's largest shopping centres.